Do you want to experience the deepest and most powerful love, but don't know how?Have you heard that peace lies within, but don't know where? Are you tired of having too many questions and too few answers? Is it your deepest longing to come home? Reiki is a process of becoming that which is eternal within ourselves. It is not the Eternal itself. That power cannot be contained within a word. It exists everywhere and in everything. We feel its presence in the high mountains and in the motion of the seas. We fall in love with its reflection in each other. We see evidence of its power in the movements of the stars, its brilliance shines in the sun. But, each of these are indicaitons of an even greater and more powerful secret. That the one that created all of this, lives in each of us and waits for us to return. 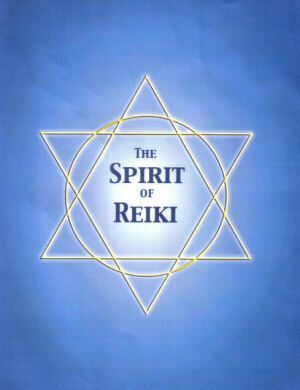 There have been many discussions as to what Reiki is. I have heard it said that it is a Japanese teaching with origins in the Buddhist Sutras. I have heard it said that it is a healing method, a means to enlightenment, a relaxation technique, and so on. It is to each of us, however much we have experienced from it. if we really ask, if we really use the symbols of Reiki, if we have the courage and the sincere desire to learn, it takes us to places unimaginable and to places which defy definition. Like a set of directions, it is a means of becoming conscious of the highest realms within ourselves. The symbols of Reiki open doorways within us which lead to infinite levels of consciousness. The force of Life which we are, exists everywhere and in everything. In fact, there is nowhere that it is not. It is the one thing that every human being is attracted to, and has in common. It is our true "home". It is what we are at our most essential. it is the one thing that we must become consciously aware of in order to be complete and in order to be fulfilled. We may believe that we are born for any number of reasons, to love, to create, to enjoy our lives. But there is one destiny that we cannot escape..to become conscious of and to merge with the force which is our life. Reiki is one way of achieving this. This book is not for the faint hearted. These symbols or keys of Reiki are real. They make a connection between the limited and unlimited self. As they are drawn, realize that the unlimited self reveals itself in its own time and to its own degree. Remember the unlimited self supports and is infinitely kind to the limited self as it seeks knowledge of it. Through that kindness these keys reveal level after level of limitlessness. There is no end to this. Know that in truth you are not a stranger to yourself. Trust your own unlimited self and enjoy the discovery of your limitlessness.